The HP Ethernet 1Gb 2-port 361FLB Adapter is a ProLiant c-Class BladeSystem FlexibleLOM network adapter with PCIe Gen 2.1 compliance providing two Gigabit Ethernet ports that utilizes only a maximum of 2.8 watts of power. 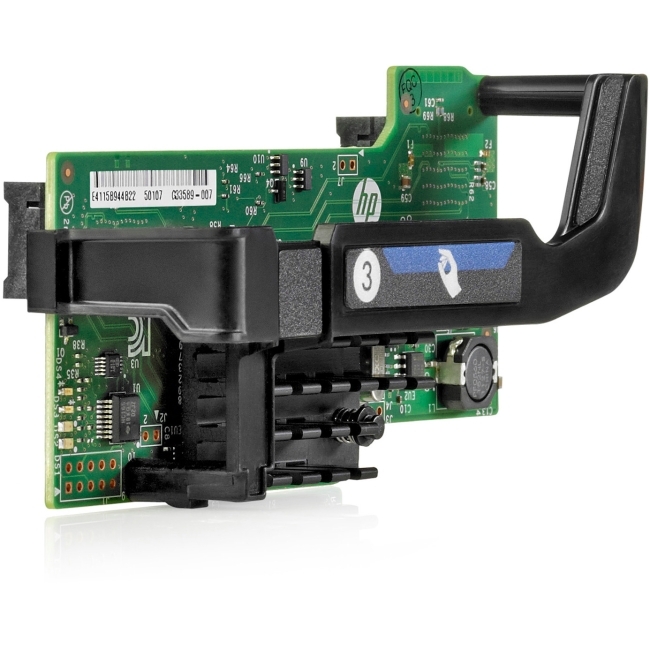 The HP 361FLB is a 1Gb FlexibleLOM that has been designed for use with select HP BladeSystem c-Class Gen8 servers, featuring bridgeless Intel® Ethernet I350 Controller. 361FLB has performance enhancing features and new power management technologies. With the introduction of the 361FLB FlexibleLOM, ProLiant c-Class customers now have the choice and flexibility of choosing 1GbE solution that could pave the way for a future 10GbE upgrade. The 361FLB is ideal for virtualization, security, network segmentation, and other BladeSystem applications requiring 1GbE bandwidth.